A white flower with an arrow through its center—Bram’s message to Layla of the West, the respected Keeper of Wolves. So begins the next season of Layla’s journey. 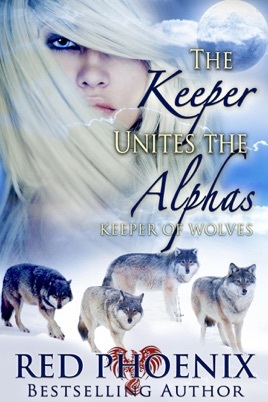 The four Alphas are determined to protect their beloved Keeper, but the dark leader of the rival clan will stop at nothing to claim Layla once she’s captured. Can her four devoted Alphas rescue Layla from the clutches of the merciless leader, and protect the precious gift she holds within? An excellent continuation of a fabulous story! My only complaint is, it was not long enough!! I very much look forward to the Keepers next move.